Welcome to Heartlands Autospares, the best place for car parts and accessories. We are a family based team that are here to help our customer’s automobile needs. We have been established for over 5 years and have built our products and services over this time. We pride ourselves on a Fast, Value for Money, & Quality service. We are based in the heart of Birmingham and located on the main bordesley green near the heartlands hospital. We have spark plugs, oil filters, oils, air filters, fuel filters, service kits and timing belt kits all in stock for a fast and friendly service.We specialise in Car Audio , Tinting Films, Induction kits , Body Kits , Car Spoilers , Dump valves, Cockpit accessories, Sport Suspension Kits , Lowering Springs , Rear Light Clusters , Number Plates (large range of Show Plates available), performance exhausts, Remote Control Cars & lots of other lines not easily found in your average car accessories shop. Interior Design and Exterior Design car accessories are our speciality - check out our huge range of car accessories instore. We have a dedicated team that are here to help our customers. We offer simple fitting service for certain items purchased at the shop. 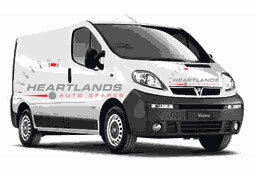 Heartlands auto spares also offer a free delivery service for local businesses. Ask instore for further details. We are happy to help you with any problems you may have concerning your automobile needs.